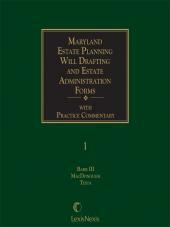 Forms compiled by attorneys practicing real estate law in Maryland. 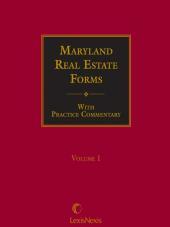 Essential for documenting residential, commercial, and construction real estate transactions. 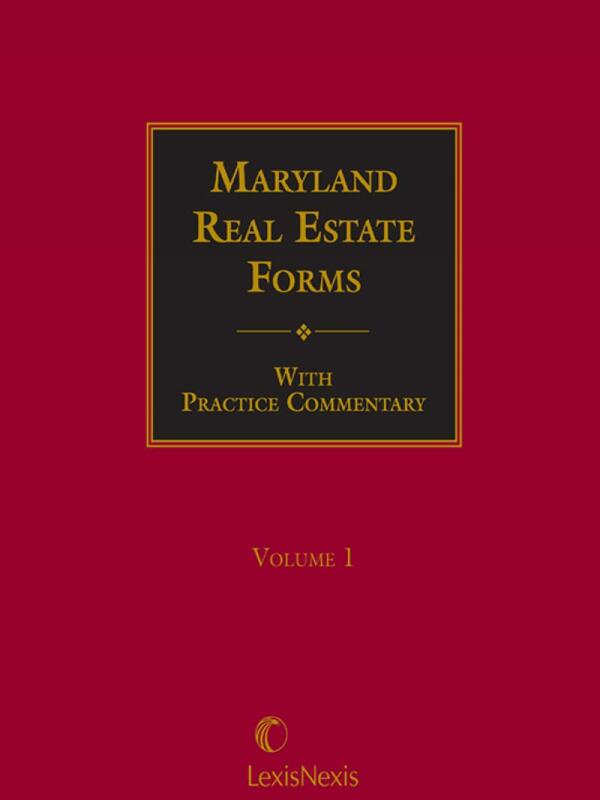 Easily customize real estate documents to meet your residential, commercial, or construction clients' needs with Maryland Real Estate Forms. 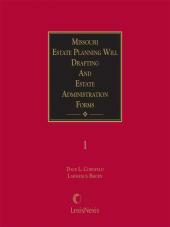 This comprehensive manual is equally useful for the attorney just becoming familiar with standard residential forms and the real property expert documenting a complicated commercial transaction. Explanatory practice notes describe the source and purpose of the forms, and offer suggestions on how to modify the forms to best protect your client or capitalize on a superior bargaining position. If your practice involves closings, you do not want to draft loan documentations from scratch. 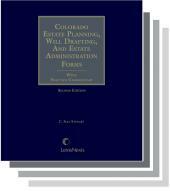 The included electronic versions of forms enable you to customize your final form documents efficiently while minimizing the time you have to spend at a computer keyboard. Kevin L. Shepherd, whose primary practice is in the field of real estate, is a partner of the Baltimore law firm of Venable, Baetjer and Howard, LLP. Mr. Shepherd holds a B.A. degree from Frostburg State College and a J.D. degree from the University of Baltimore School of Law. Russell R. Reno,Jr., whose primary practice is in the field of real estate, is a partner of the Baltimore law firm of Venable, Baetjer and Howard. Mr. Reno holds an A.B. degree from Haverford College and a J.D. degree from the University of Pennsylvania School of Law. Wilbur E. (Pete) Simmons,Jr., a former partner of the Baltimore law firm of Venable, Baetjer and Howard where he specialized in real estate law, is an active real estate developer in the Baltimore/Washington area with the KMS Group. Mr. Simmons holds a B.A. degree from the University of Maryland, a J.D. degree from the Maryland School of Law and an LL.M. degree from the Yale Law School.